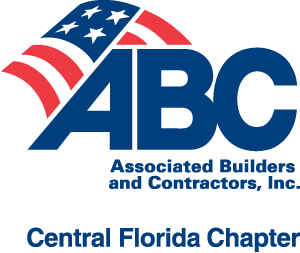 ABC is Florida’s largest professional management association of commercial, industrial and institutional general contractors, specialty contractors, associates and suppliers. Ranked by the U.S. Congress among the most influential organizations in the country, ABC was founded on and remains committed to our three-fold mission of safety and skills training, government and political affairs, and business development. The House and Senate are in recess this week while the president tweeting this morning for Congress to come back to DC and fix the immigration laws. A redacted version of the Mueller report is also expected to be released from the Justice Department on Thursday and House Ways and Means Committee Chairman Richard Neal (D-Mass.) said he would give the IRS until April 23 to provide the president’s tax returns to the committee. Another reminder to register for ABC Legislative Week 2019, June 23-27. 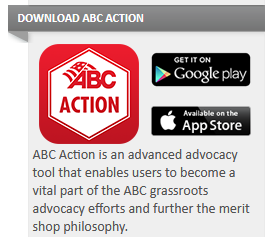 Please encourage members to go to the PAC portal to make ABC PAC contributions. The password is ABCPAC2019. The paper forms may be used for those who prefer the traditional method. For more details, or if you have any questions, contact Toska Gamble at gamble@abc.org. Congress likely won’t come back to town early, but, along with the surge at the border and resignation of DHS Sec. Nielsen last week, President Trump has put a renewed focus on immigration. Last week, House Speaker Nancy Pelosi and Senate Majority Leader Mitch McConnell said they are ready to sit down to try and negotiate on deal on immigration reform in response to the humanitarian crisis at the border. Speaker Pelosi has also said that none of the current problems along the border can effectively be addressed without passing comprehensive immigration reform. ABC will be celebrating the seventh annual Infrastructure Week, May 13-20, with an awareness campaign. Democratic leadership in the House and Senate are planning to meet with President Trump in the next few weeks to talk about a bipartisan plan to overhaul the nation’s infrastructure; however, the issue of how to pay for the bill remains unclear. Senate Majority Leader McConnell has said it is up to Pelosi and Trump to come to an agreement if infrastructure is to move forward this Congress. Currently, House Transportation Committee Chairman Peter DeFazio (D-Ore.) has been pushing for increasing the federal gas tax while Senate Democrat and Presidential contender Elizabeth Warren (D-Mass.) has expressed a preference for a tax on the wealthy to pay for the plan. Others in Congress are also pushing for a progression from the gas tax to a vehicle miles traveled user fee. Ivanka Trump has reportedly been playing a larger role in the bipartisan infrastructure talks and has been advocating for a workforce education component to any plan. Chairman DeFazio says his plan is to complete a broad infrastructure bill by the end of July, while Senate Environment and Public Works Chairman John Barrasso (R-Wyo.) hasn’t expressed much interest in a broader bill and is focused on the reauthorization of the surface transportation bill by the summer. Russ Fulcher, a former businessman and state lawmaker, was elected to Idaho’s 1st Congressional District last November to replace the outgoing Rep. Raul Labrador who had an unsuccessful bid for Governor. Fulcher previously served in the Idaho State Senate for 2006-2014. Fulcher has been an outspoken opponent on the federal government’s ownership of more than 60 percent of Idaho land, supports a merit based system for legal immigration, and has advocated for replacing the Affordable Care Act with a market-driven system. In his 2018 campaign, Fulcher was backed by both Republican Leader Kevin McCarthy(Calif.) and the far-right leaning Freedom Caucus. Fulcher serves on the House Education and Labor Committee and the House Natural Resources Committee. Permit Fee Transparency (HB 127 Williamson/SB 142 Perry) will be on the House and Senate Floor this week for final consideration and passage. This bill requires Building Departments and Local Governments to post their Permit and Schedule Fees on their website, along with a report of their Department Budget to justify the fee structure. They would be required to post new budgetary information on their website prior to making any adjustments to their fee schedules. The Florida Senate passed House Bill 127 with unanimous support. A tremendous thank you to Senator Keith Perry and Representative Jayer Williamson for their leadership on this bill. The House passed this bill last week and it is headed to the Governor for his consideration. It shouldn’t be a mystery what permit and inspection fees are, or how they are reached. This legislation results in increased transparency in the fee setting process by requiring placement of fees on relevant department websites. It also requires Building Departments to offer supplemental reporting as justification for the fee structure. Reduction in Retainage (HB 101 Andrade/SB 246 Hooper) – this bill would reduce the amount of retainage a public entity could hold back from 10% down to 5% until 50% completion when it would be further reduced down to 2 1/2 %. We are hopeful that the House Bill will be in its final committee stop this Thursday. We have one committee stop left in the Senate. Apprenticeship and Workforce Development Reform (HB 7071 and SB 522). Our overall goal this session, as it relates to Apprenticeship Training and Workforce Education is to increase transparency in funding and to eliminate the requirement that all Apprenticeship Program providers be tied to an LEA, or a Local Education Agency. As a state, we need to ensure that we know how programs are being funded and that the funding is getting to the intended recipient – the Apprentice. Both efforts are moving. The Senate Bill is a stand alone effort. In the House, some ABC concepts have made it into the Proposed Committee Bill. There are multiple efforts this session to address the skilled worker shortage in Florida and the College or Bust mentality we have experienced for many years now. ABC is participating in many conversations and efforts surrounding these bills. Alternative High School Graduation Requirements (HB 661 Duggan/Sirois and SB 770 Hutson) – this legislation would allow for certain math and science graduation requirements to be swapped out for certain career and technical education courses. Additionally, this legislation would allow for schools to receive the same level of credit for graduating students through this alternative path, as they would via the traditional model. ABC Supports this Bill. Charter Schools (HB 1197 Fischer/ SB 1668 Hutson) – this legislation would allow Charter Schools to work with State Colleges and Universities to offer postsecondary education courses that can lead to industry certifications. Impact Fees (HB 207 Donalds/SB 144 Gruters) – this legislation would push back the timeframe of when these fees could be collected to after the project has commenced versus at the time a permit is pulled. The fees must be used on projects closely tied to the stated impact of the new project or development. ABC Supports this Bill. Enforcement of the Building Code (HB 715/SB 1036) – this legislation would cap the amount of revenue a Building Department could carry over from year to year in fee revenue. It also re-clarifies what departments should do in the event that their revenue exceed a certain level. ABC Supports this Bill. Construction Defect Legislation (HB 911/SB 1246) – this legislation would amend Florida’s Chapter 558 Construction Defect Statute by eliminating the notice provisions, and requiring parties to go straight to mandatory and non-binding arbitration as the first step in their discussions. The original intent of 558 was to allow owners and contractors to address any complaints about the final product without immediately having to go through lawyers and insurance agents. While 558 is admittedly troubled, and needs reform, a complete elimination of a notice provision, and a requirement of non-binding arbitration, takes us further away from the original intent of the effort and leaves contractors and their subs in a position where they will be litigating claims not just once but twice. The increased costs of this process will be exponential. ABC Opposes this Bill. Thank you to the members of the five ABC Chapters from across the state who participated in our annual Legislative Conference. More than 100 General and Specialty Contractors, Associate and Supplier members participated in the event. Their meetings with key legislators, on ABC Priority Bills, offered an additional level of support at a critical time in session. Thank you to all of those who participated. Find ABC Chapters across the nation here. Visit the ABC of Florida website for more information.